Immerse yourself in the world of CHANEL FASHION through the latest collections and experience the unique vision of the House of CHANEL. - Explore product details of Ready-to-Wear, shoes and accessories. - Try on sunglasses from all collections. - Experience videos, photos and news of behind-the-scenes content and discover the heritage of the House of CHANEL. - Find your nearest CHANEL boutique. 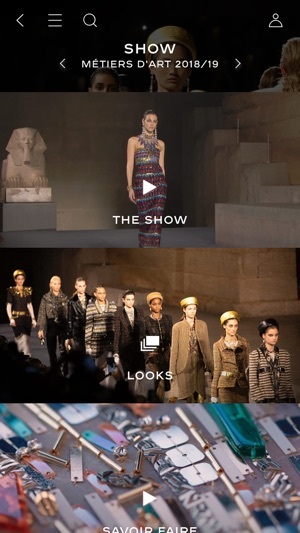 - Receive notifications about upcoming shows and the arrival of collections in boutiques. 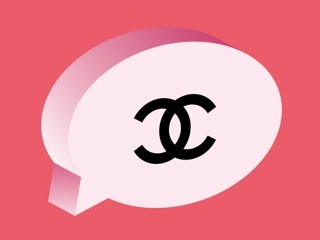 I love the app as much as I love Chanel, with my whole entire heart. But recently, it feels as if no one had been paying attention to the app. The campaign pictures for the “Paris-Hamburg” collection don’t load and are blank screens. The app has not been updated to coincide with the new “Metiers d’Art” collection so we can browse the products... and often times (VERY OFTEN) the videos do not load! I think Chanel needs to be more diligent in keeping the app refreshed and as current as possible! I love the app when it works but it’s few and far between. It always crashes and doesn’t get fixed for what seems far too long for this day in age. Plus the app doesn’t allow you to purchase sunglasses through it like the website does (at least a way fully functions). So disappointing. 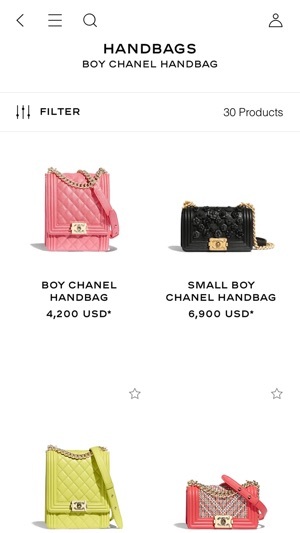 I expected more from Chanel with the app to be honest. Images and videos are highly defined and upload quickly. This is an excellent resource for fashion design students.